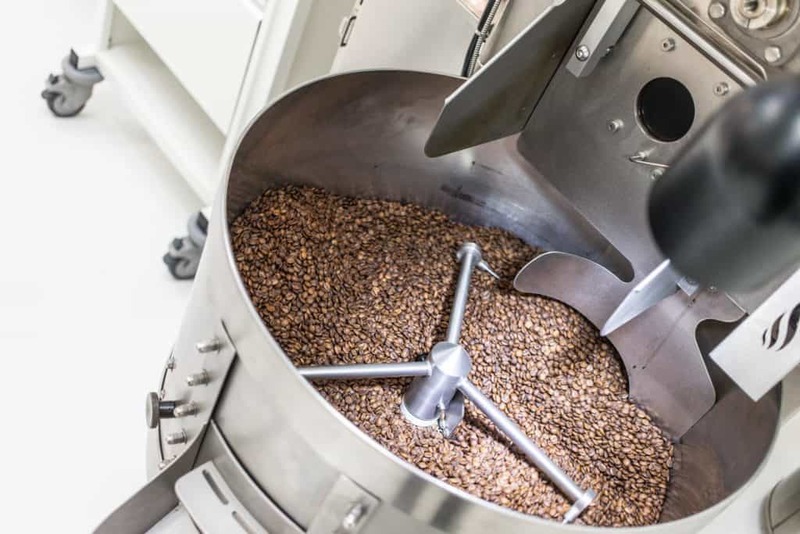 At Grindsmith, a local coffee roastery, and shop located in Manchester, Luke and Pete, along with their team, work hard behind the scenes to bring you amazing coffee every single day. 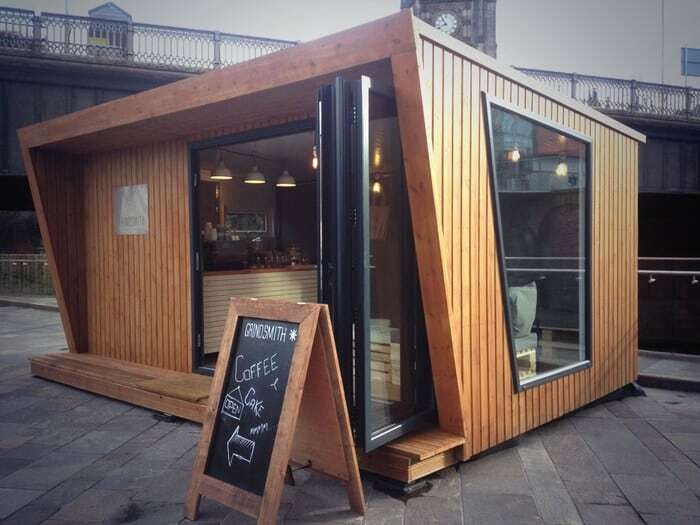 In 2013, Luke Tomlinson and Pete Gibson had a dream and a vision to turn a 5x3m wooden pod into a comfy and convenient place to have your morning coffee. With their Kickstarter in place, they set out to make their dream and vision come true. Their coffee pod, with just enough seats for 8, and space solutions that Ikea would be proud of, they opened up a more personalised coffee experience to the good folk of Manchester. Grindsmith has grown since 2013, and they are not done yet. 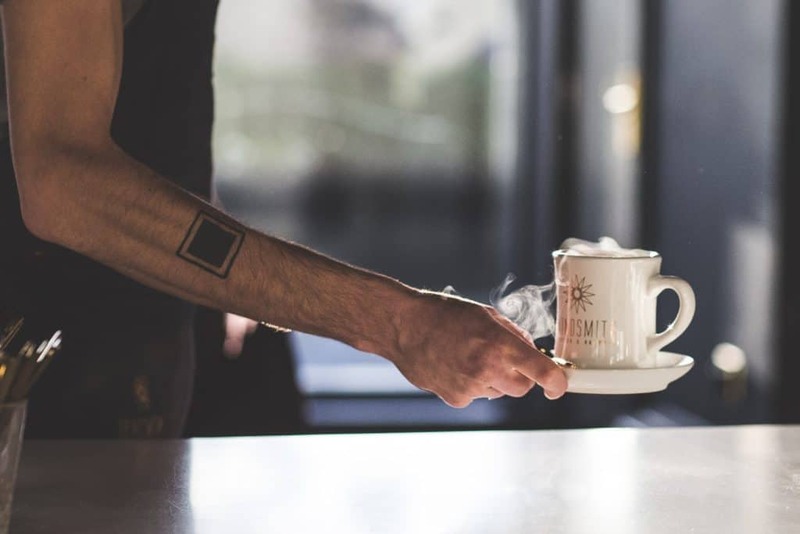 Grindsmith believes the coffee experience is their responsibility from seed to cup. Making great coffee is their craft and passion and it is what drives their passion. They believe in taste, making sure to source the best beans in the city and then using them to craft great tasting coffee. Not only is the flavour found in the coffee, but it extends to their food and drinks available in their shops. They shop locally where they can so you can be certain that your experience with Grindsmith, whether you drink at the shop or you take it away, your experience will be the best that it can be. 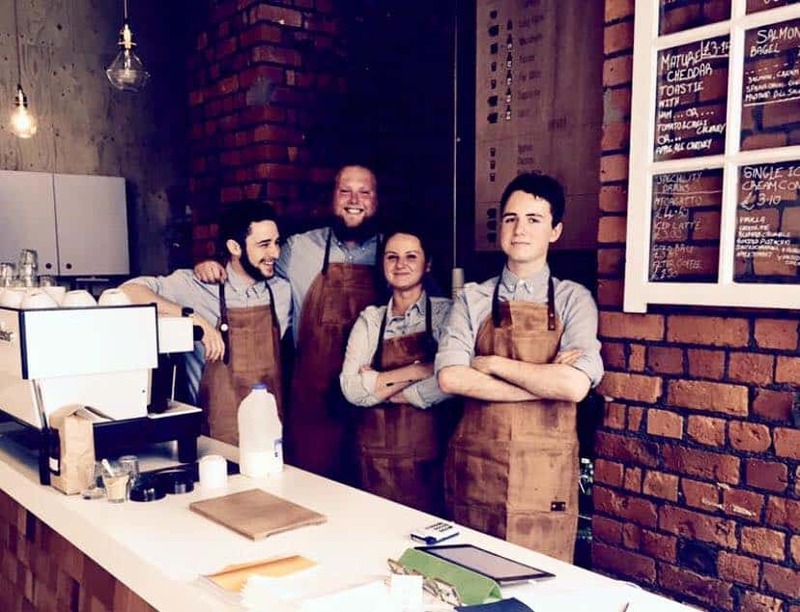 Their latest site is Media City, where they have created a site that expands on their love of community, and is working hard to bring ethically great coffee to Salford. Their MediaCity UK site has taken their coffee business to the next level, with a full kitchen offering breakfast, brunch and lunch, and a full cocktail, beer, and wine menu, as well as great coffee. They finally were able to build something that is the reality of their original vision. 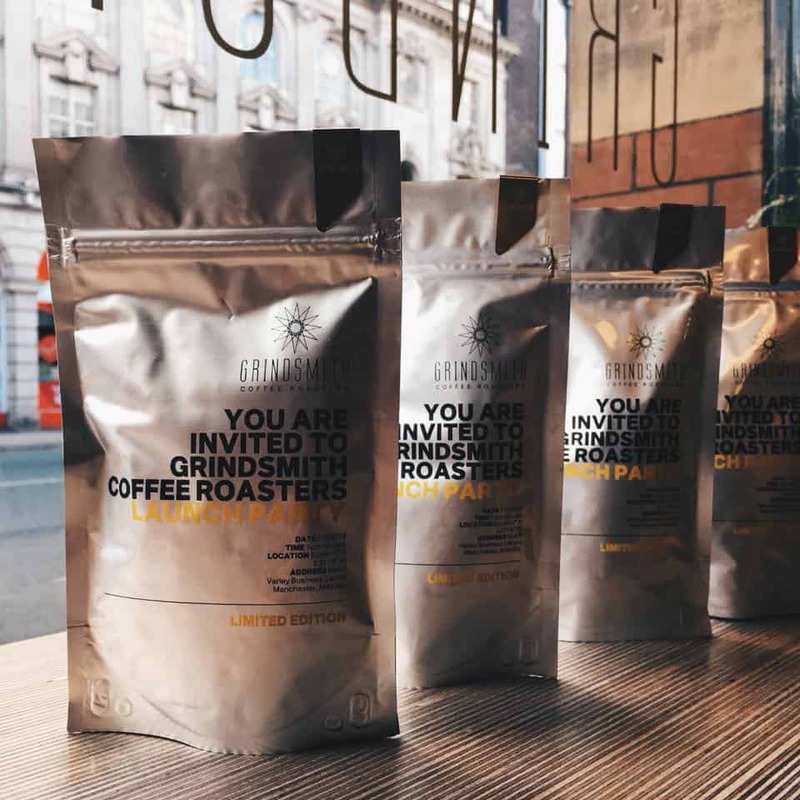 Luke Tomlinson, the co-founder of Grindsmith, said: “Opening a roastery has been a burning ambition for the company since we first opened the Pod in 2014 and enough blood sweat and tears went into this launch! You will find coffee in all forms at their roastery — whole bean, various approaches to brewed coffee, and carefully prepared espresso. The new building is a more traditional coffee shop setting than the pod. What it loses in intimacy, it more than makes up for in space, seating, an expanded food offering and gorgeous, brick arches. Be sure to follow along on their website, Instagram, and Facebook. This month, Blue Coffee Box is featuring two of their single origin roasts in the subscription box. Click here to order your first box!